The historic birthplace of London’s coffee scene, The Jamaica Wine House is now home to one of the Square Mile’s finest pubs and wine bars. Hidden away in St Michael’s Alley, amid a labyrinth of charming medieval courts and backstreets near Monument, a warm welcome awaits those who seek out The Jamaica Wine House – affectionately known by locals as the Jampot. 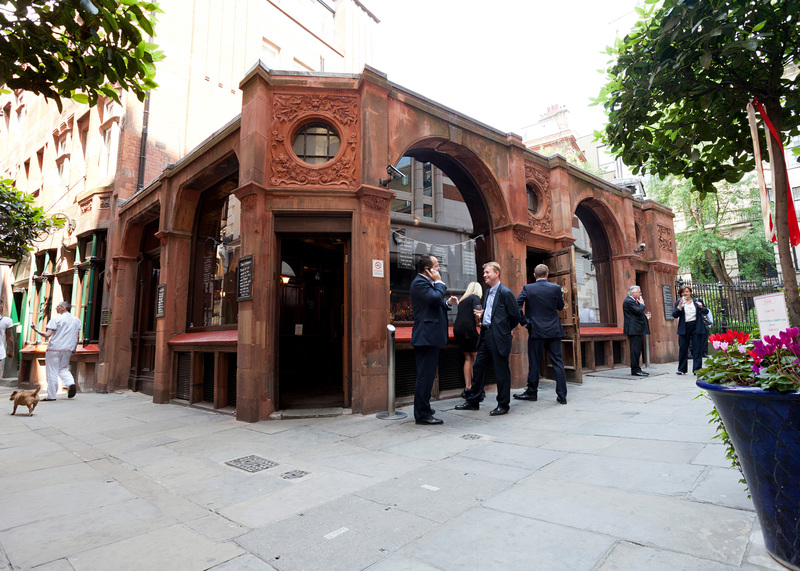 London’s first ever coffee house opened here in 1652, counting Samuel Pepys amongst its earliest patrons. Now, city workers and tourists make space in their diaries to visit for entirely different reasons - with fine ales, wines and superb dining making it one of the City’s top pubs and bars. Offering guests the best of both worlds, the place is split in two to cater for all tastes. At ground level you’ll find a traditional London pub, with wood-panelled bar, high ceilings and a super selection of Kentish cask ales and international lagers. In the snug basement, there’s Todd’s Wine Bar - the perfect place to relax and enjoy a delicious meal with new and old world wines in stylish surroundings. The two venues share one beautiful red sandstone building, dating back to 1869 and designed in art nouveau style. Many of the original features are still here, including the 19th century cooker once used to roast coffee beans. There’s outside space too - with patrons able to grab a drink and gather in the alley outside on warm evenings after work. Put simply, how you choose to enjoy the Jamaica Wine House is up to you. But whether it is dinner or drinks, inside or out, upstairs or down - it’s always one of the most special nights in the City.